200 meter and 800 meter swimmer who became Costa Rica's first gold medalist for the 200 meter freestyle event at the 1996 Olympic Games. She started swimming in 1979 and won several regional titles while training with Francisco Rivas. 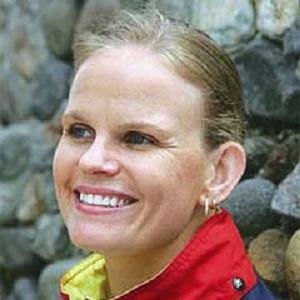 She was named the 1997 World Swimmer of the Year by Swimming World Magazine and the Costa Rican Sportswoman of the Year for consecutive years from 1993-2000. Her sister Silvia won the first Olympic medal for Costa Rica at the 1998 Games. She won Olympic medals for swimming just like Ryan Lochte.